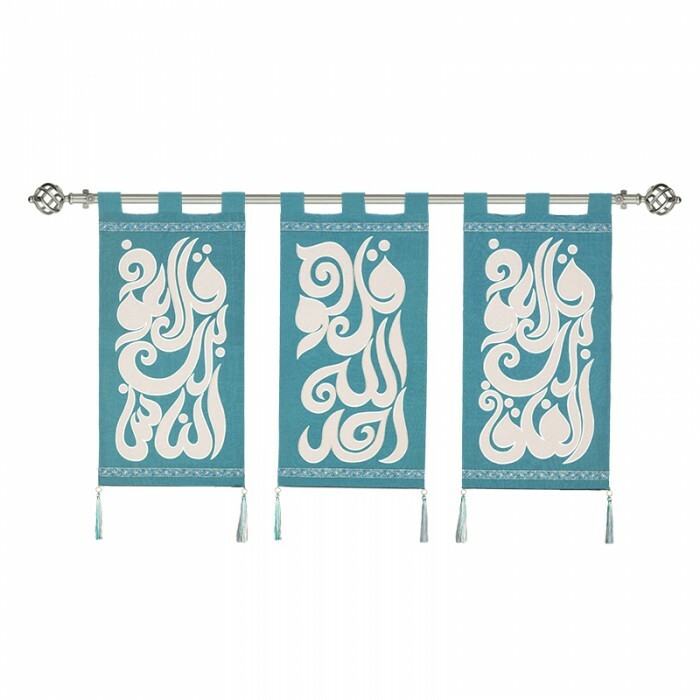 An elegant wall hanger displaying Arabic calligraphy of Al-Mu’awwidhat from the Holy Quran on Moire’ textile. This creative wall art is made of three pieces which can be sold separately. Highly durable and dry clean friendly. The dimensions and weight mentioned in the specifications section are for each piece, while the price for the piece is 150 JOD. 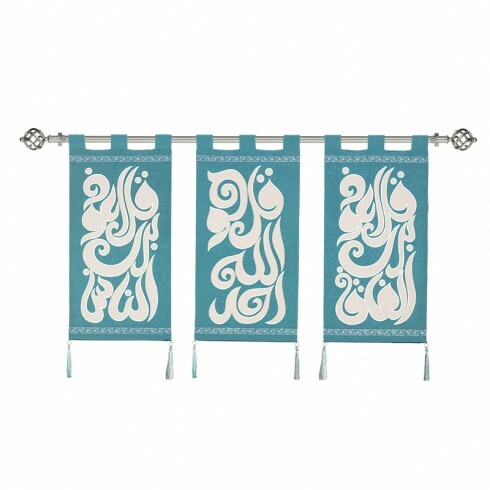 A unique gift to bring peace and tranquility in your place. The piece can be customized according to your taste; the colors can be of your choosing.